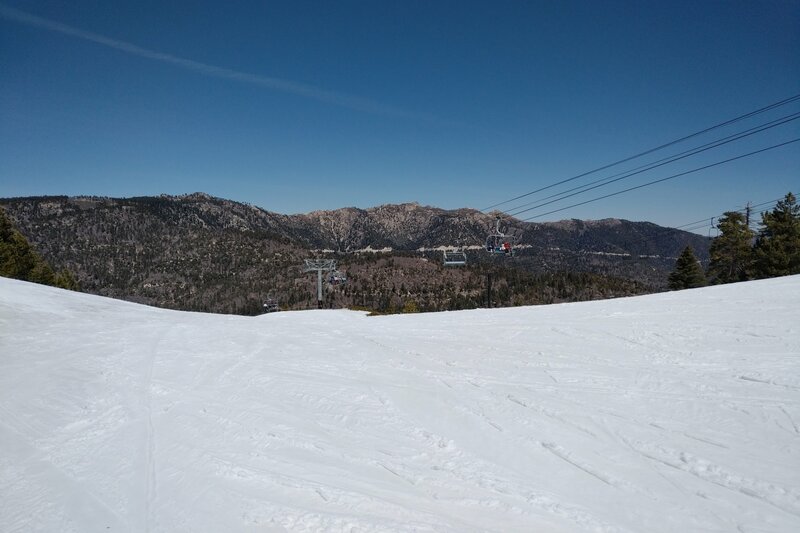 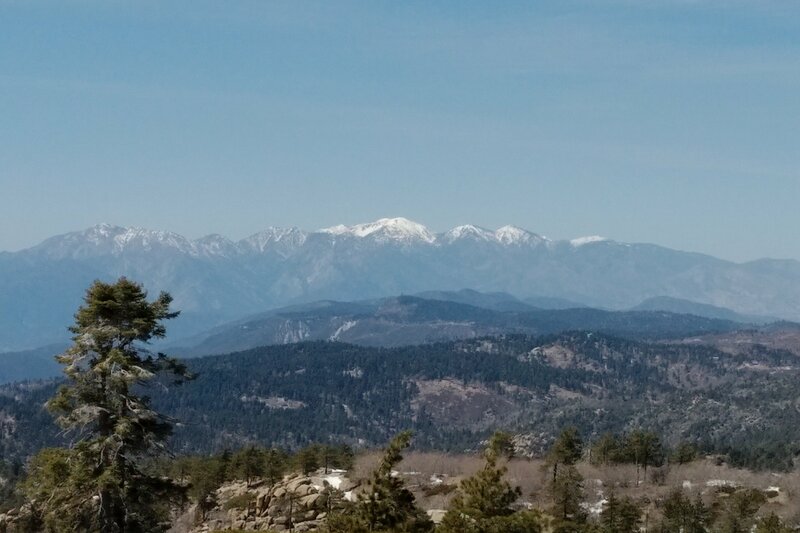 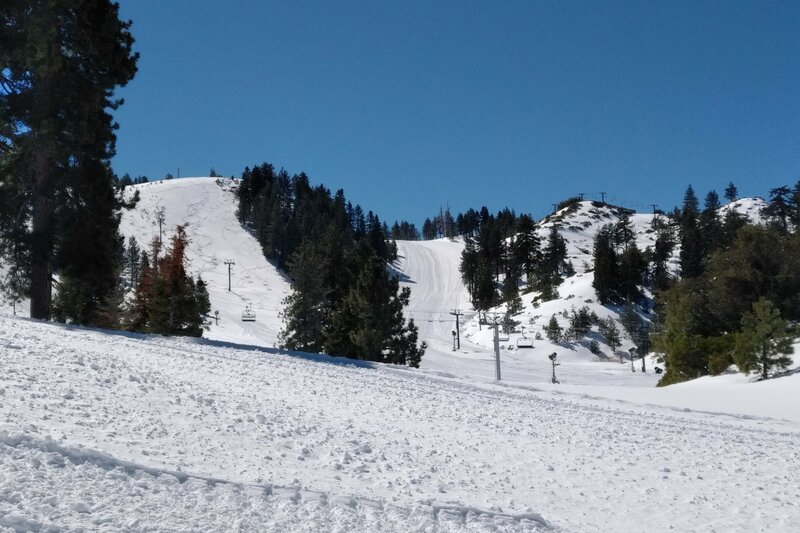 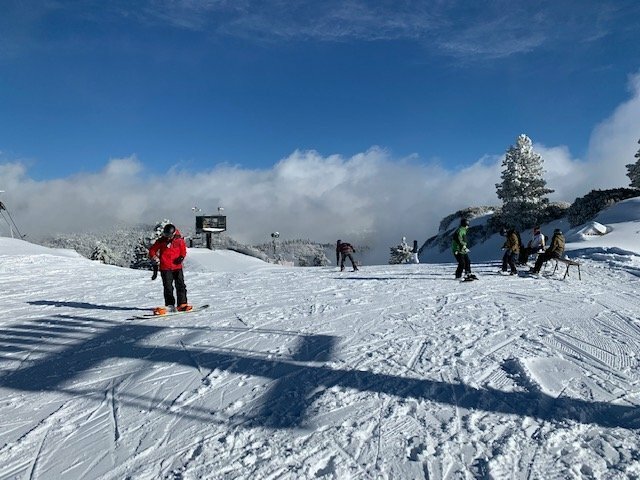 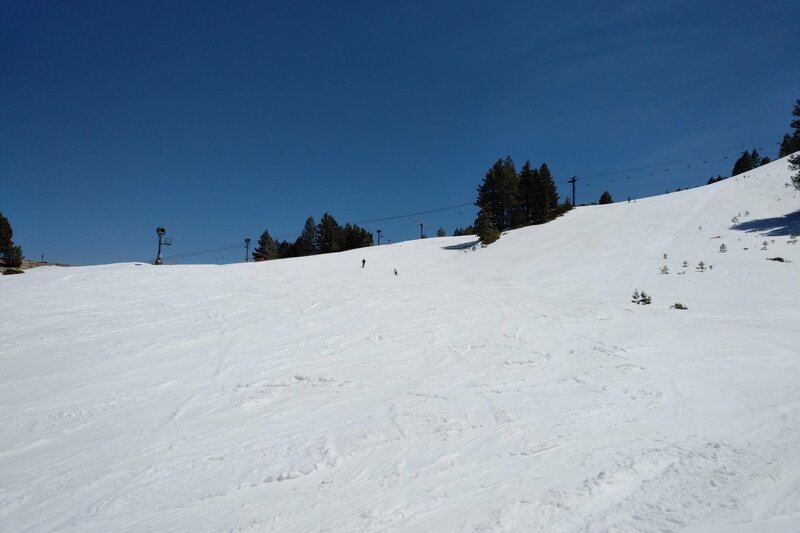 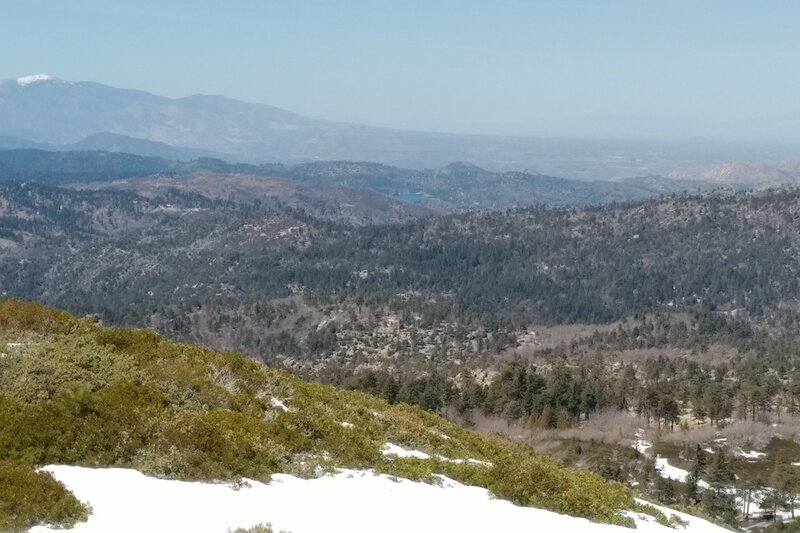 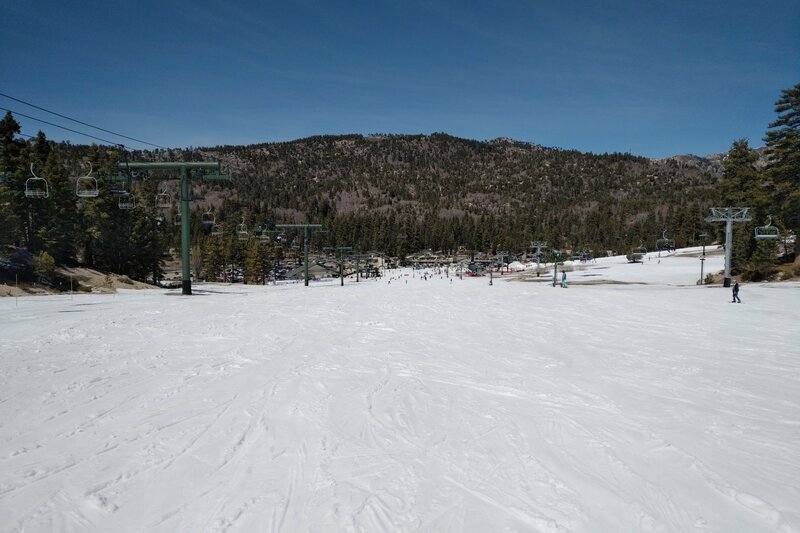 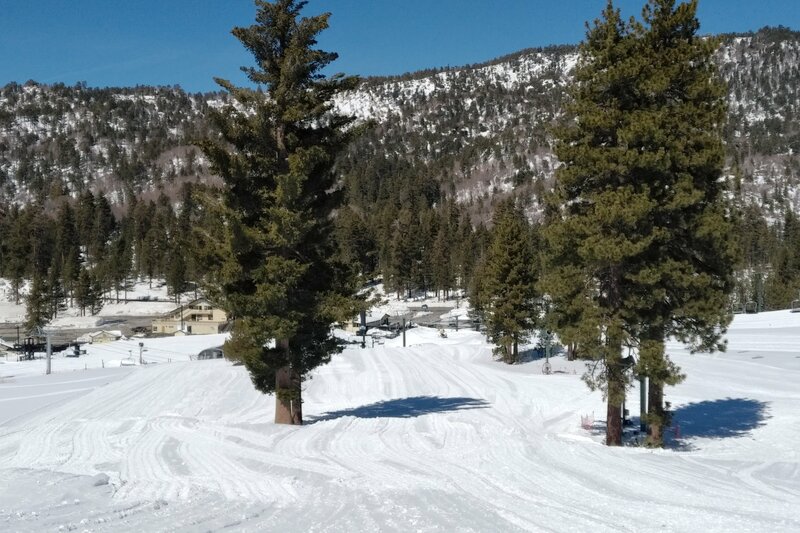 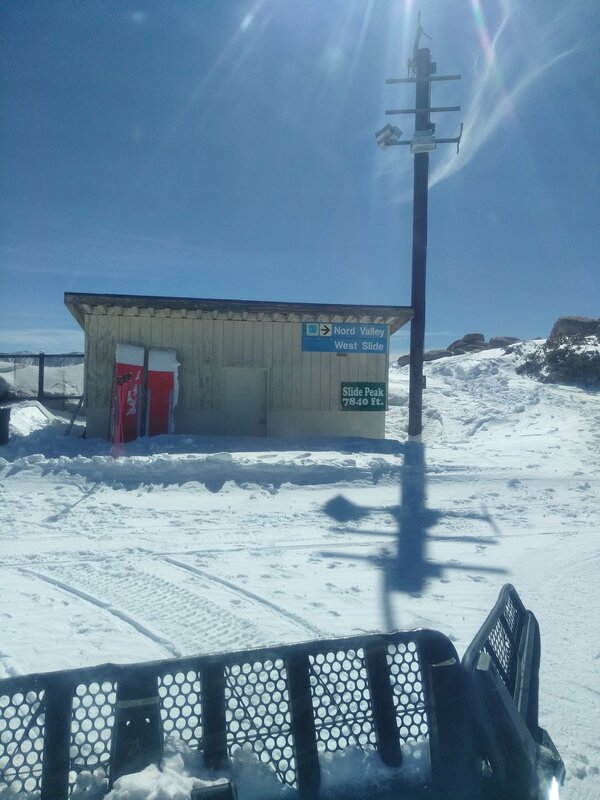 3-31-19: Scenic Views--Do you see Lake Arrowhead? 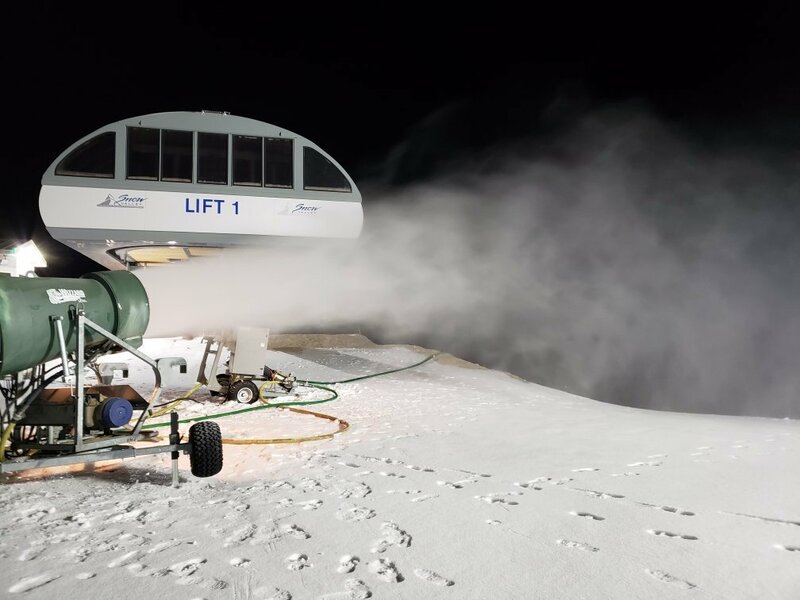 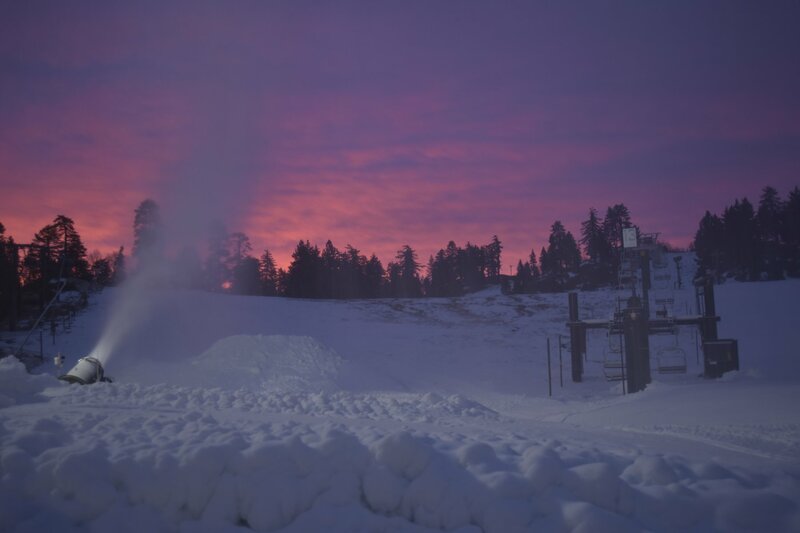 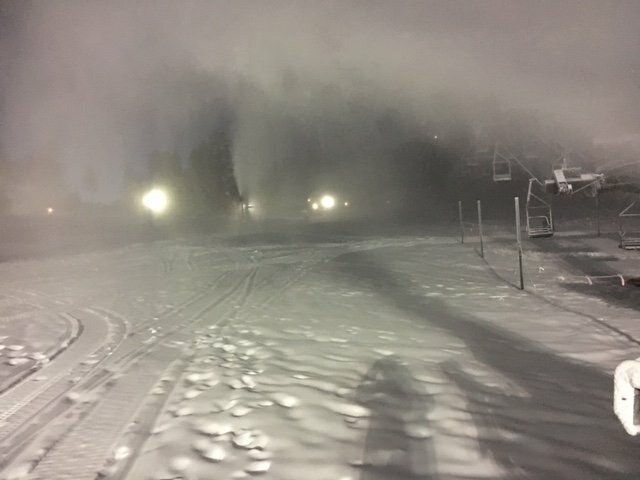 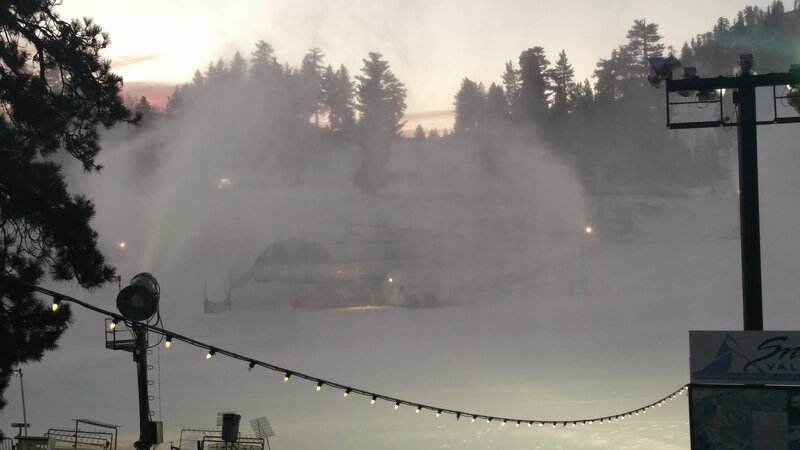 2-24-19: Productive snowmaking thanks to temperatures close to 0 degrees. 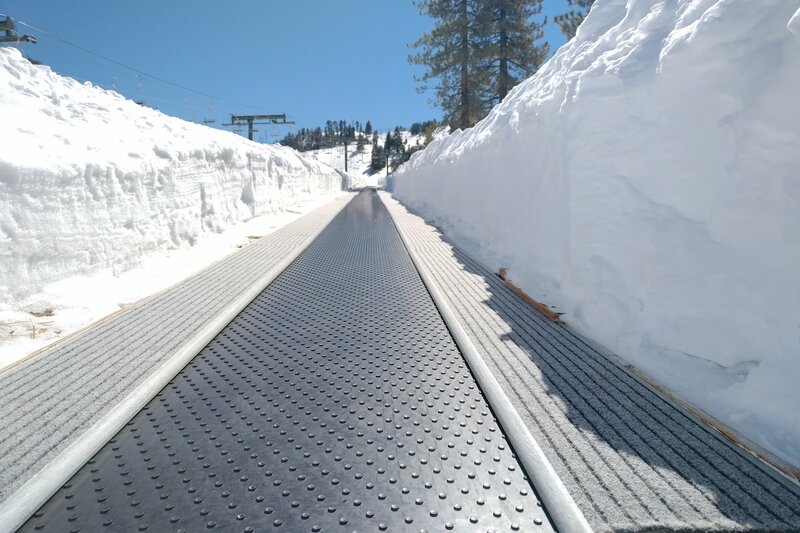 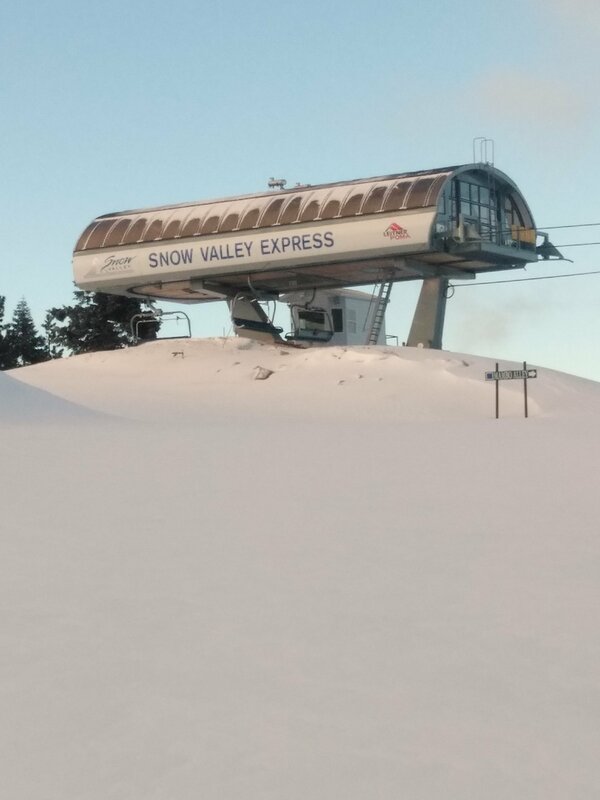 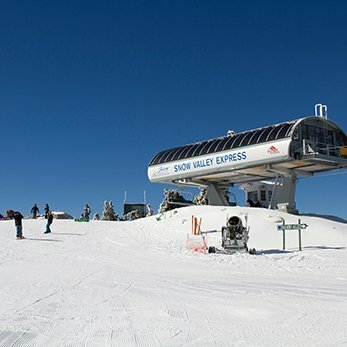 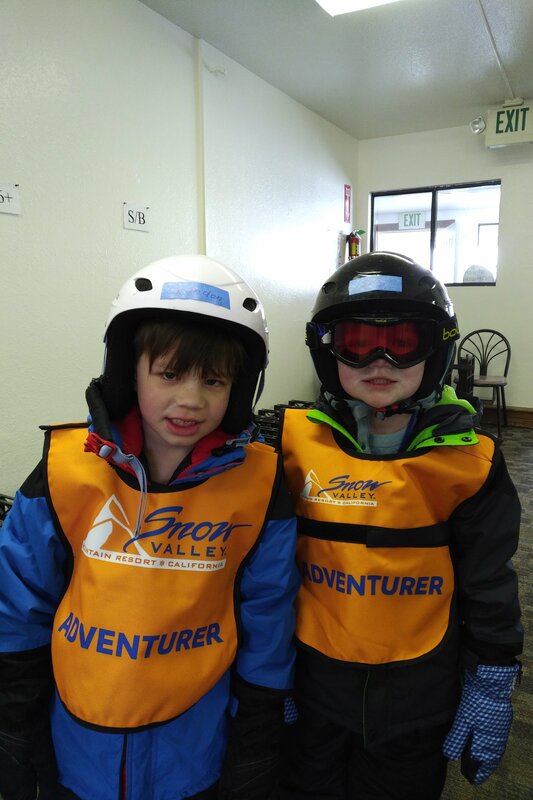 2-24-19: The Snow Valley Express is ready to operate. 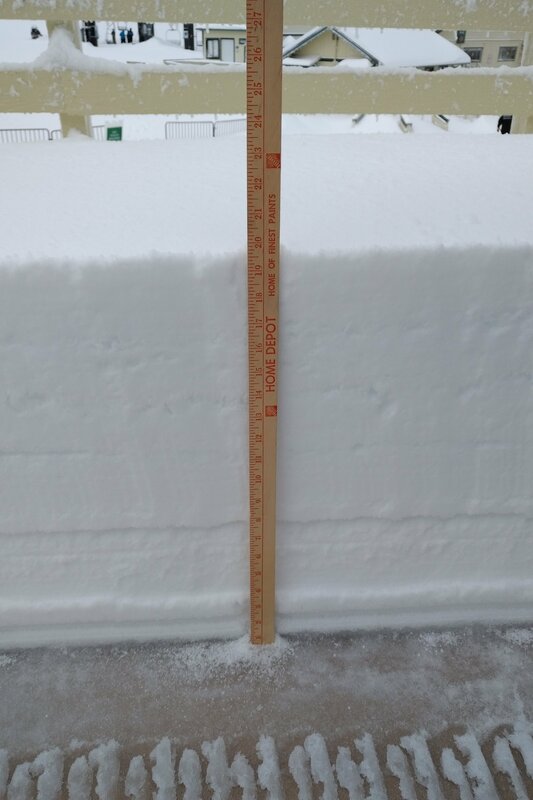 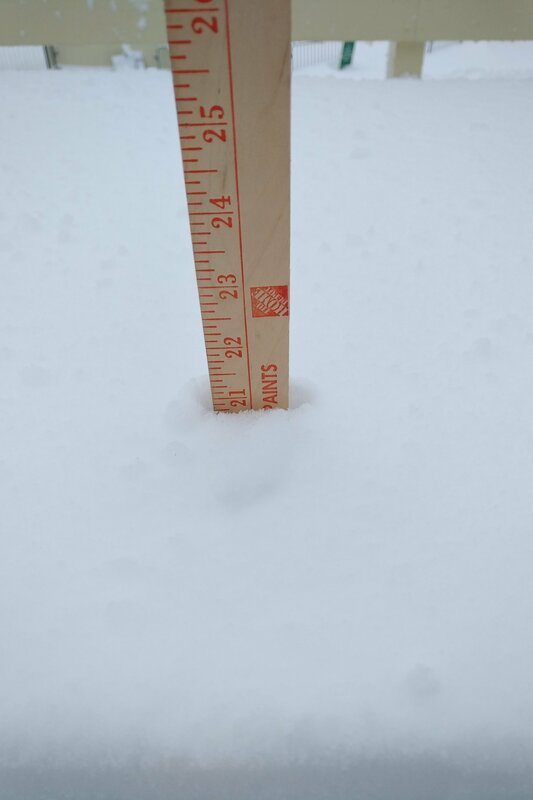 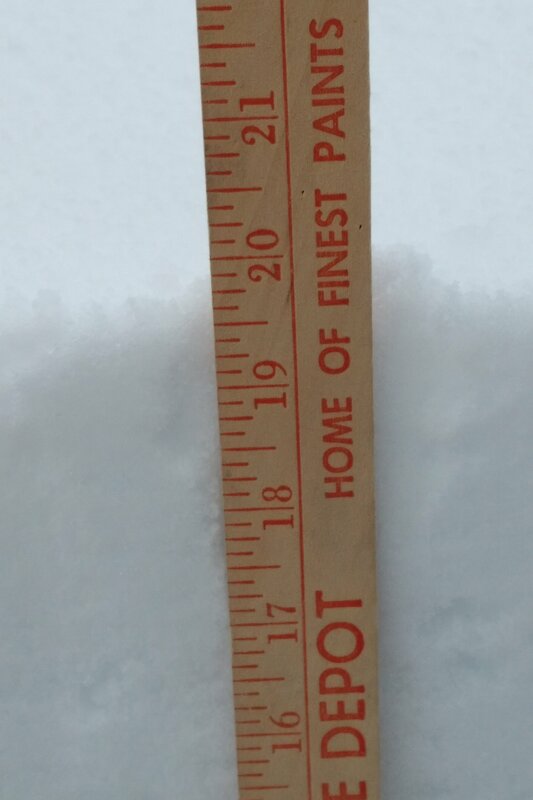 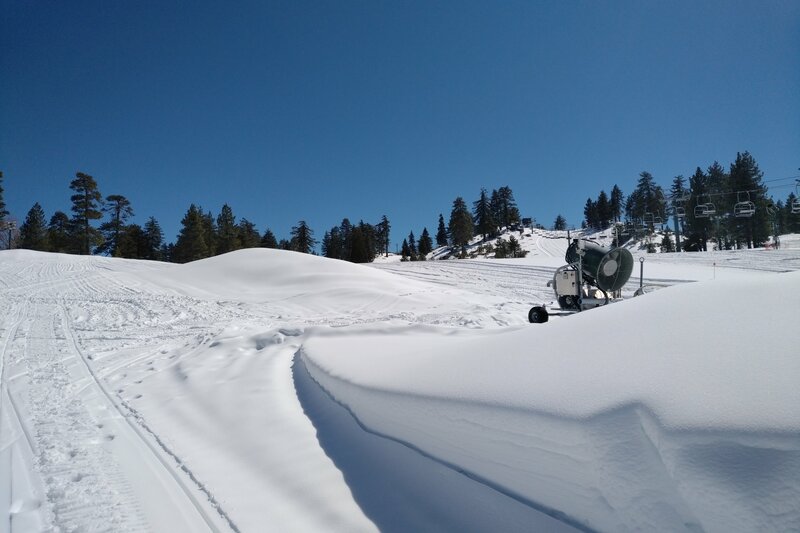 2-24-19: We've been tracking up the snow to preserve it. 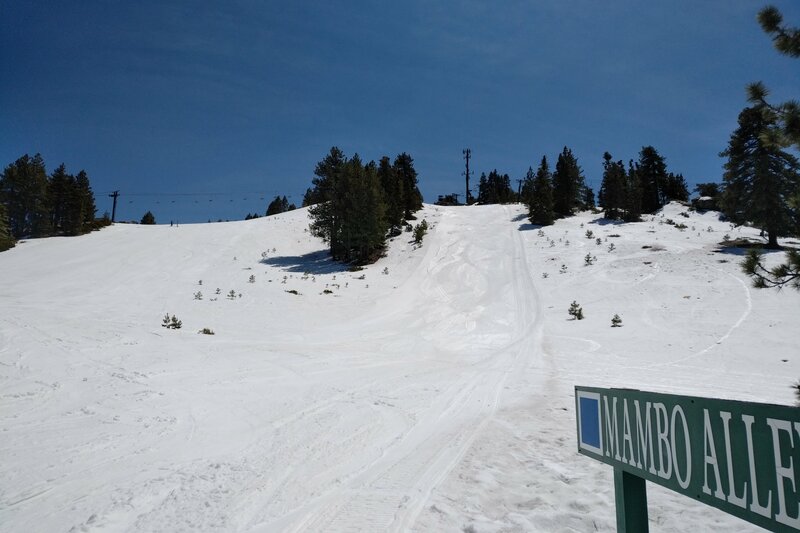 2-24-19: The Ladder and Mambo Alley are looking fantastic! 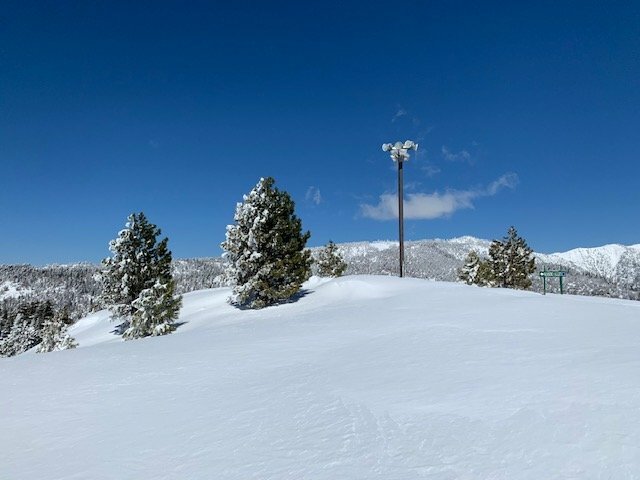 2-24-19: Eagle Flats is buried in snow. 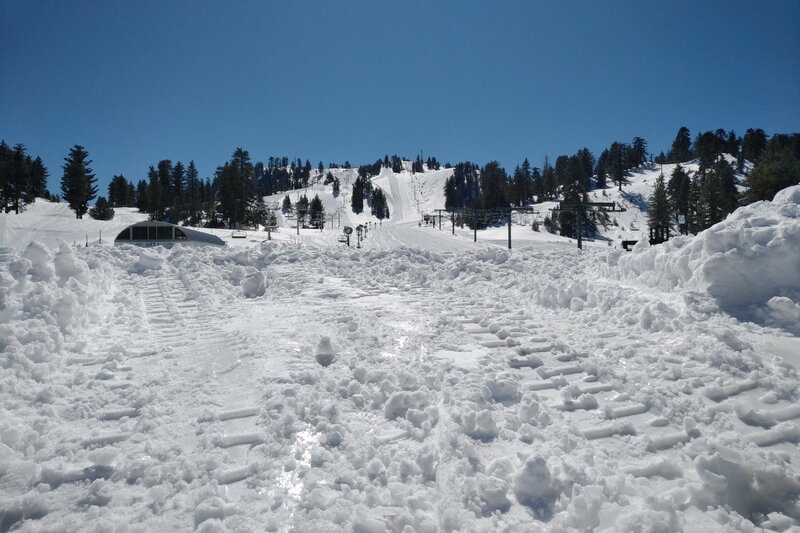 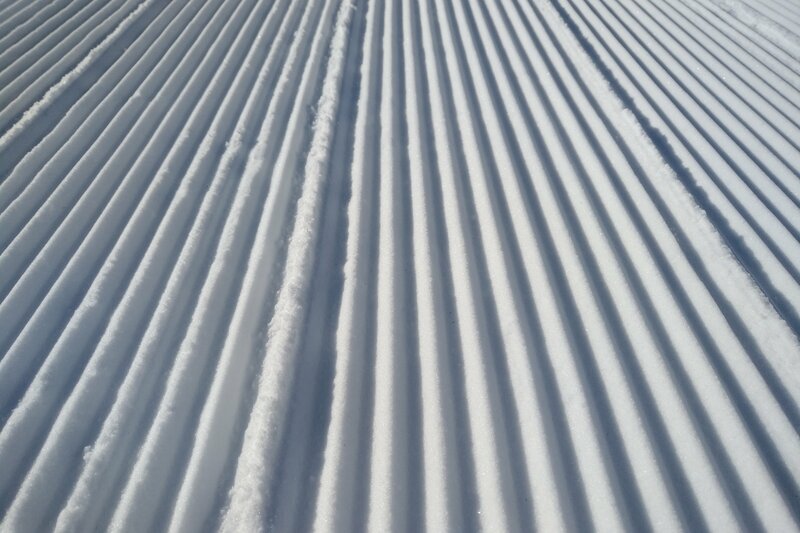 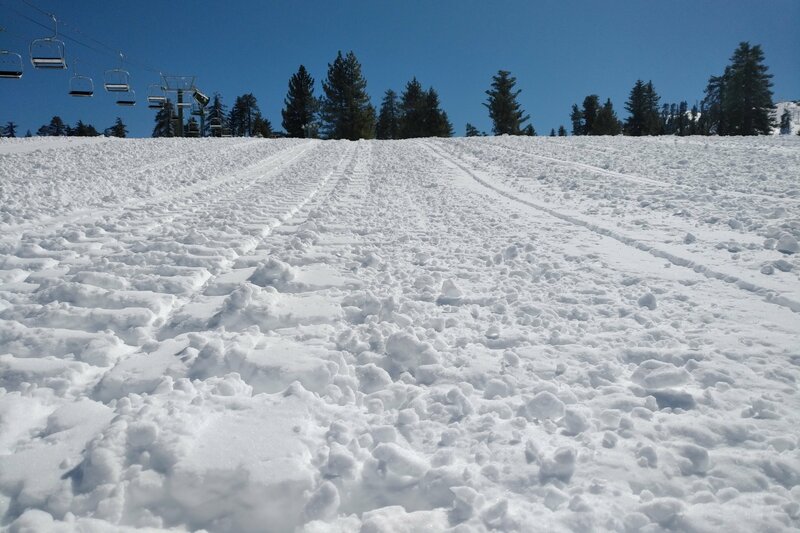 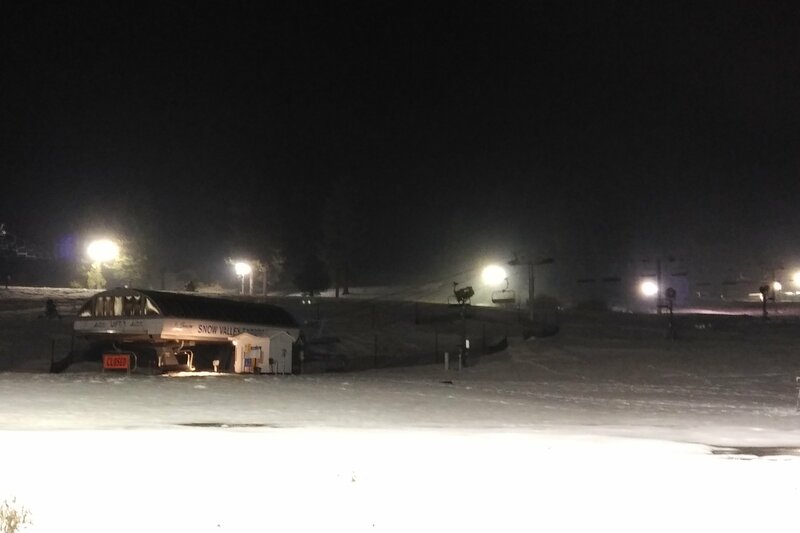 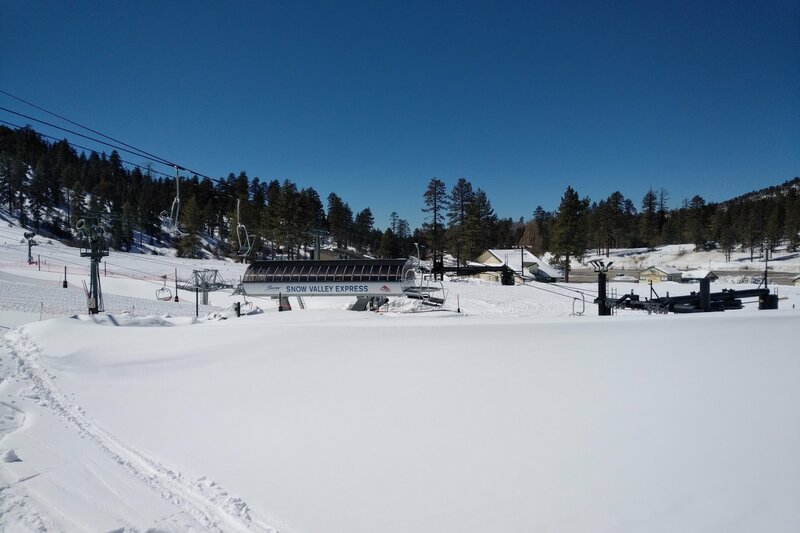 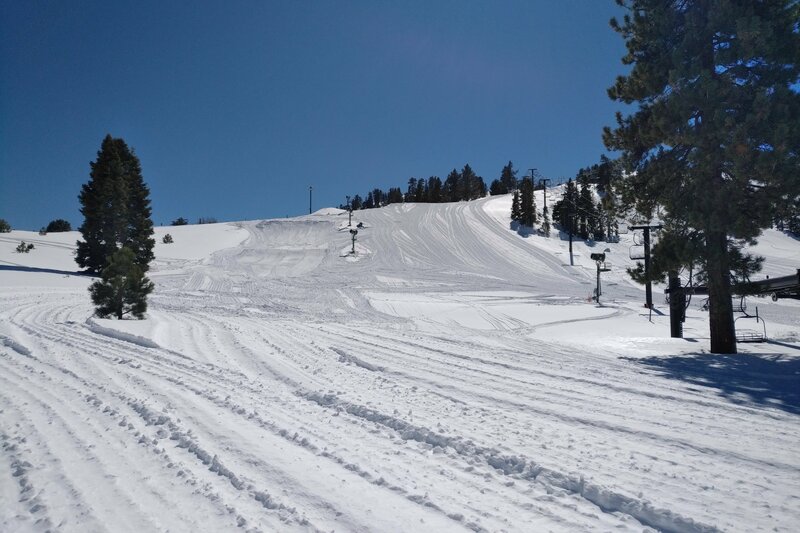 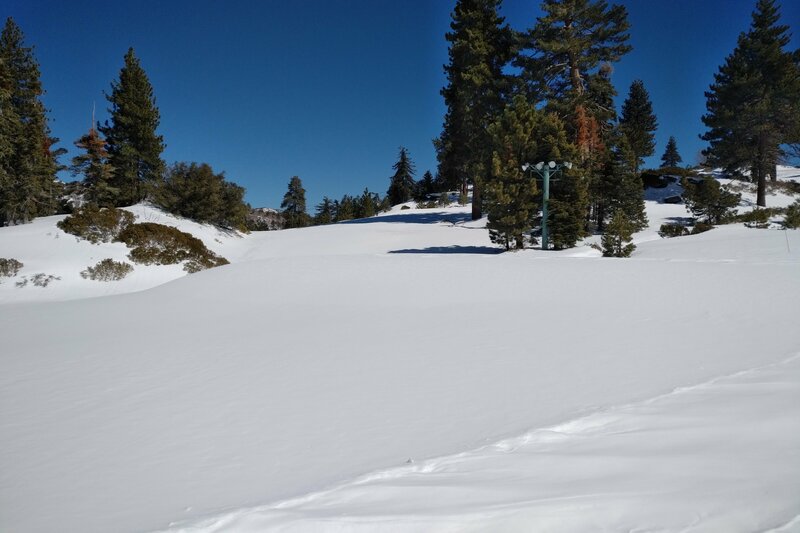 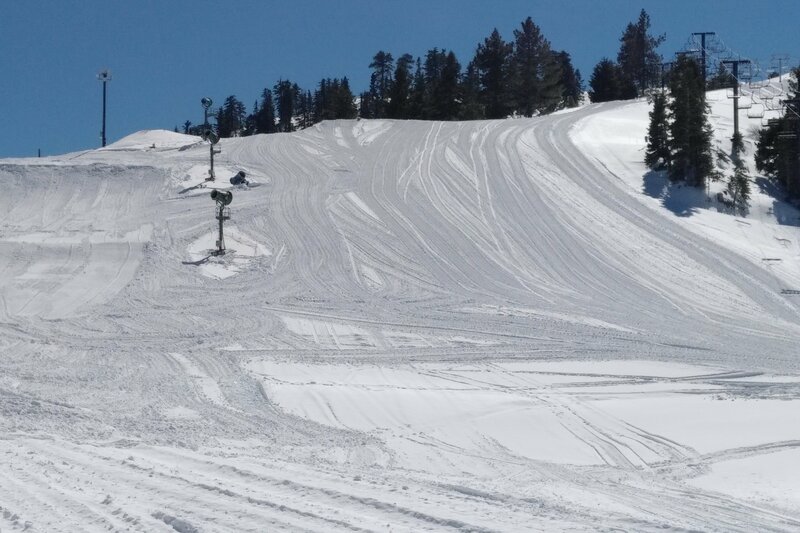 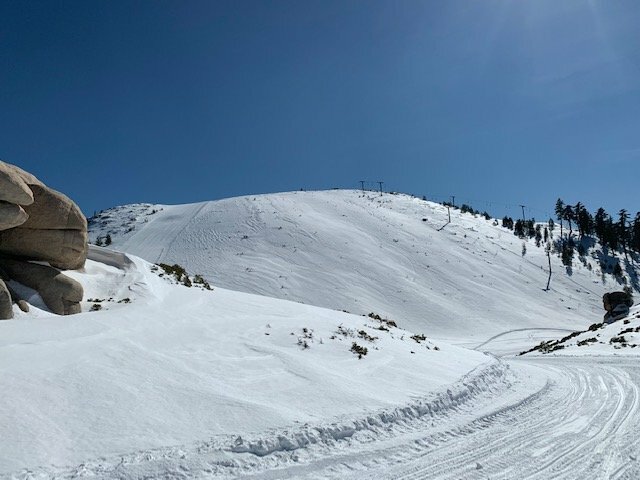 2-24-19: East Bowl up close. 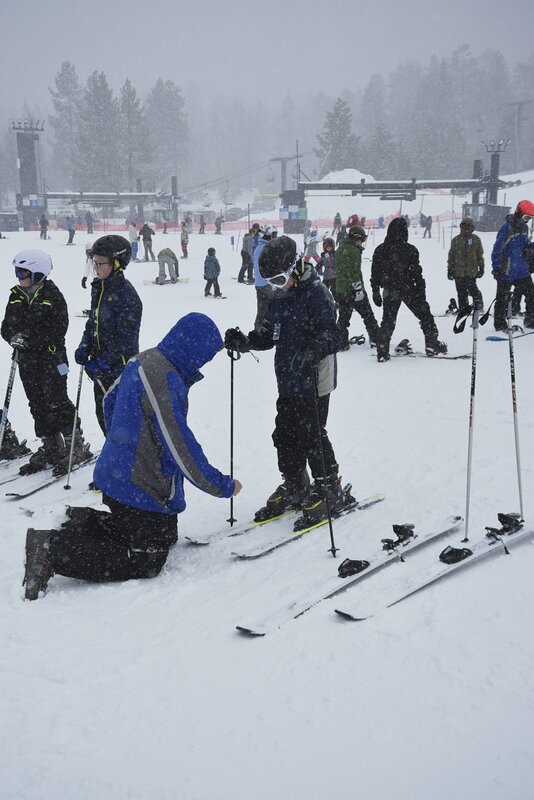 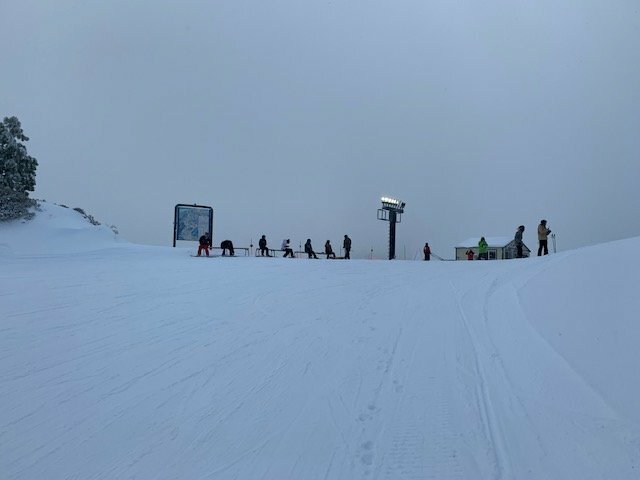 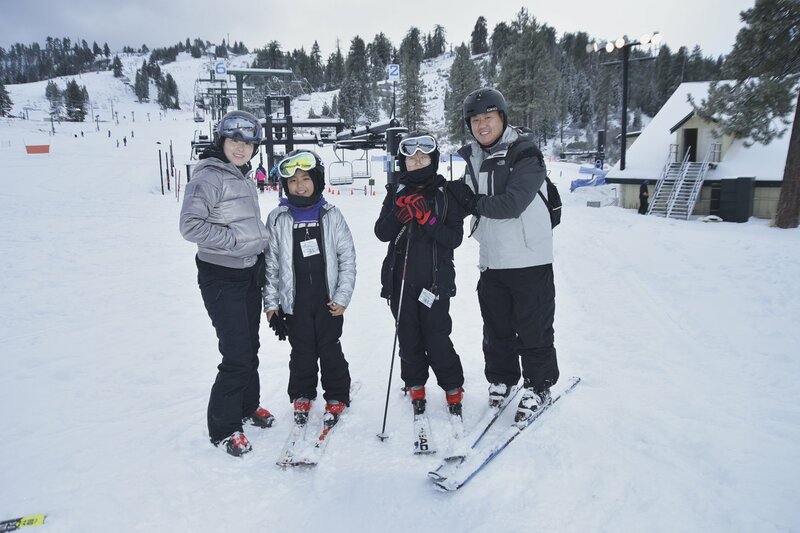 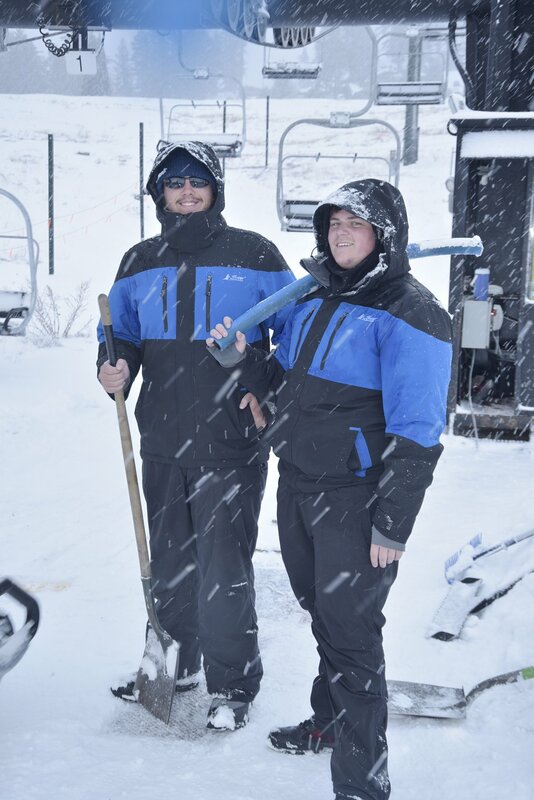 2-24-19: We had a lot of snow to clear Lift 7 for our youngest learning guests to enjoy. 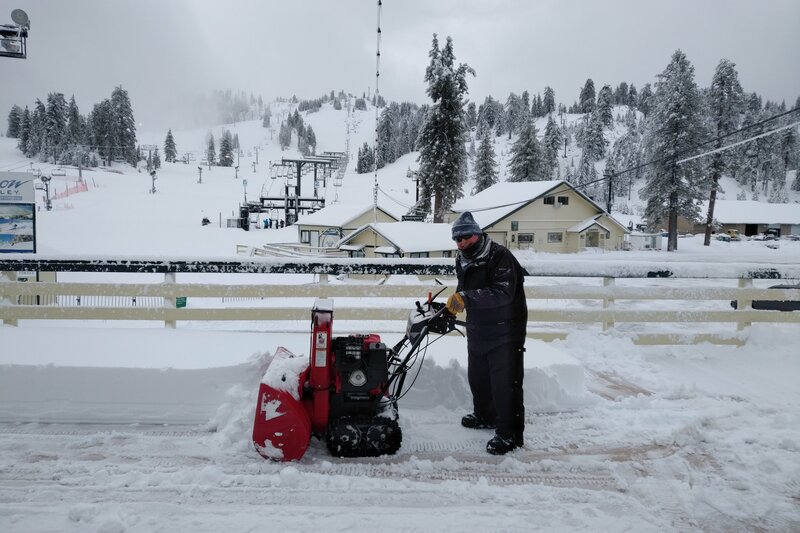 2-5-19: The Storm Isn't Over Yet! 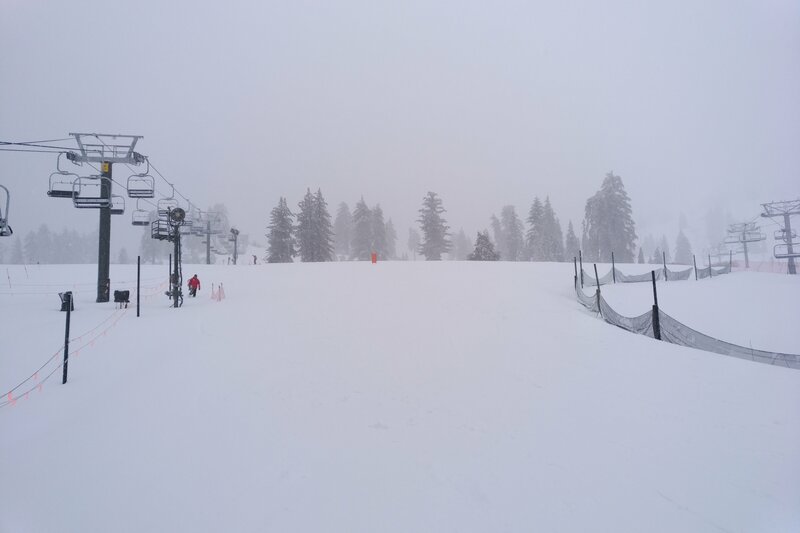 Still Snowing! 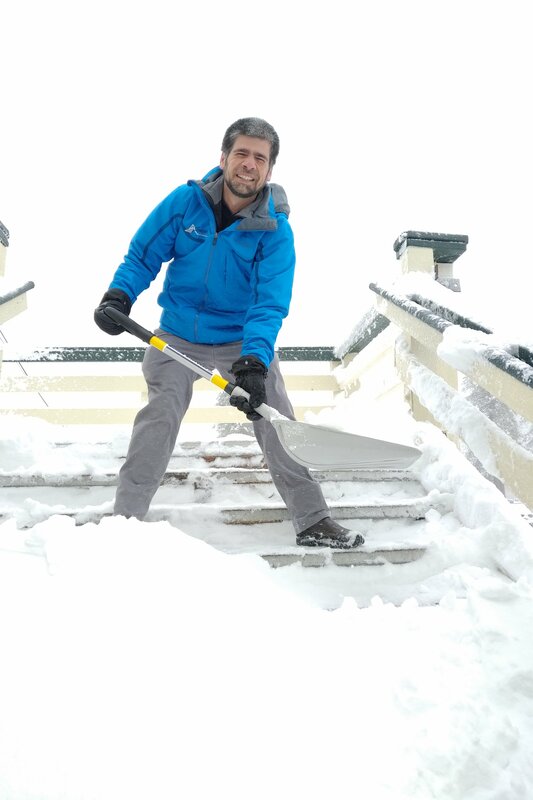 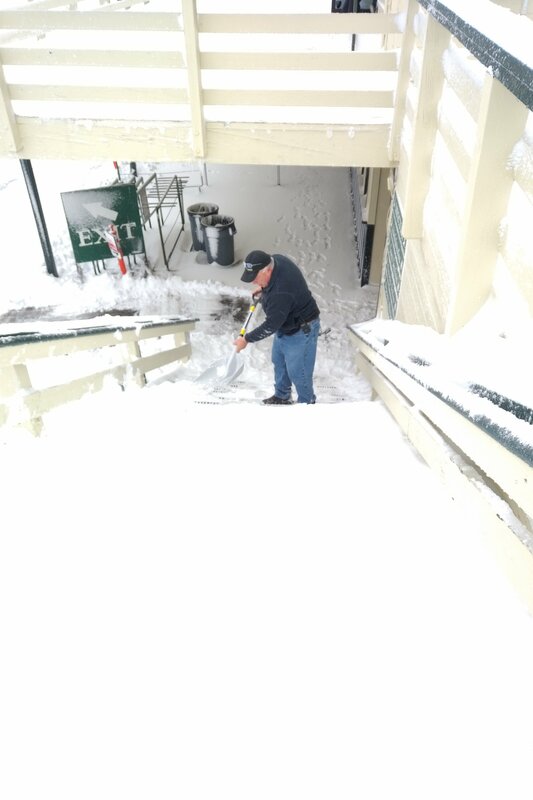 2-5-19: Even our company electrician was helping remove snow! 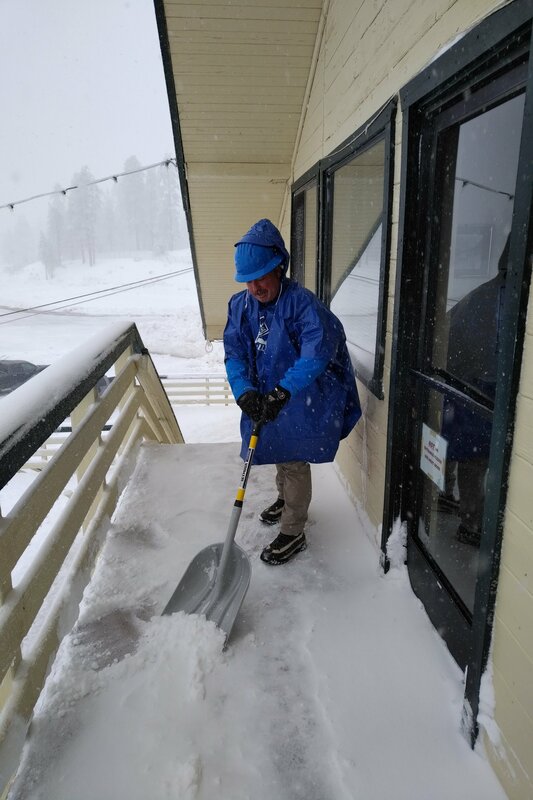 2-5-19: The Executive Management Team at Work Shoveling! 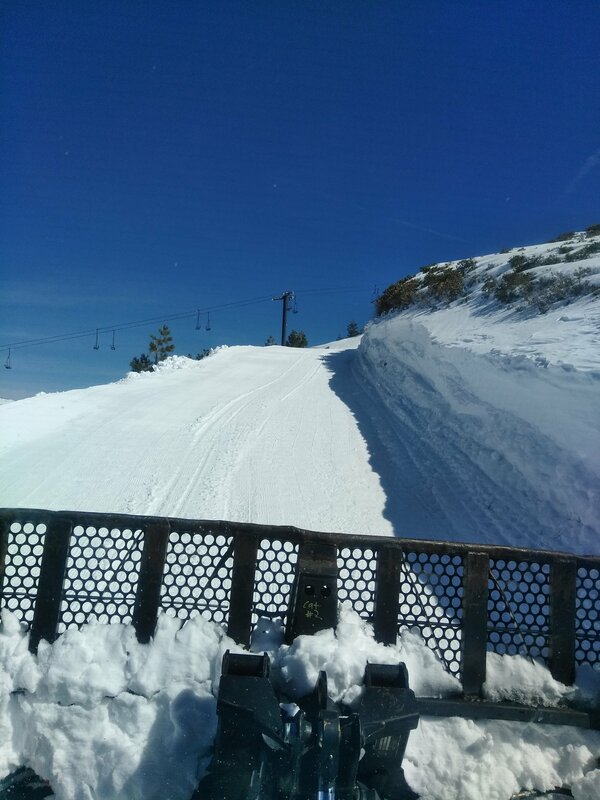 We have a lot of snow to move! 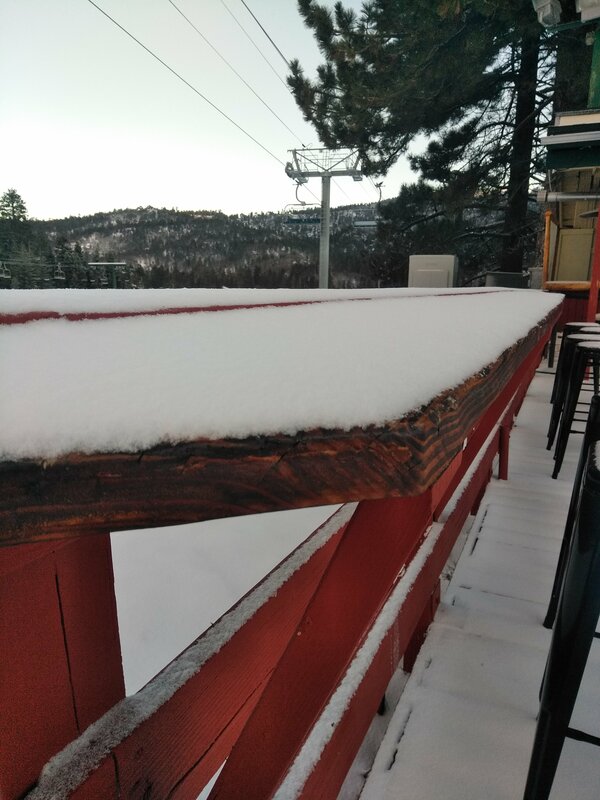 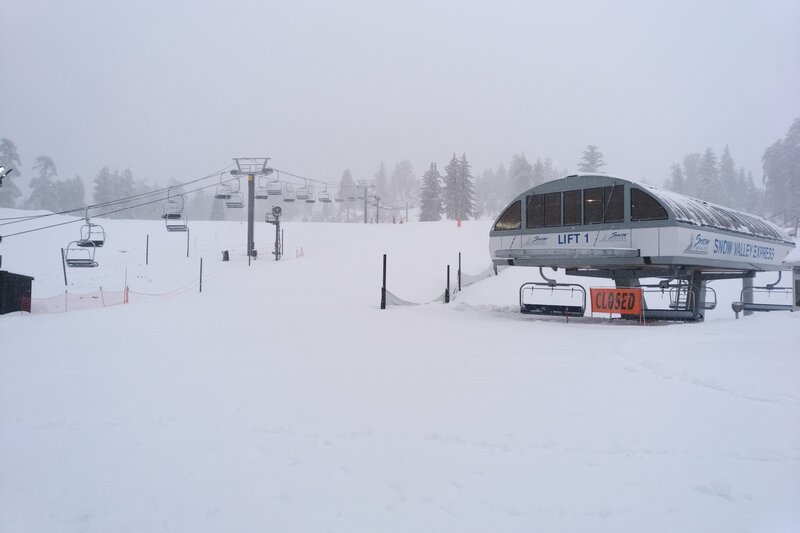 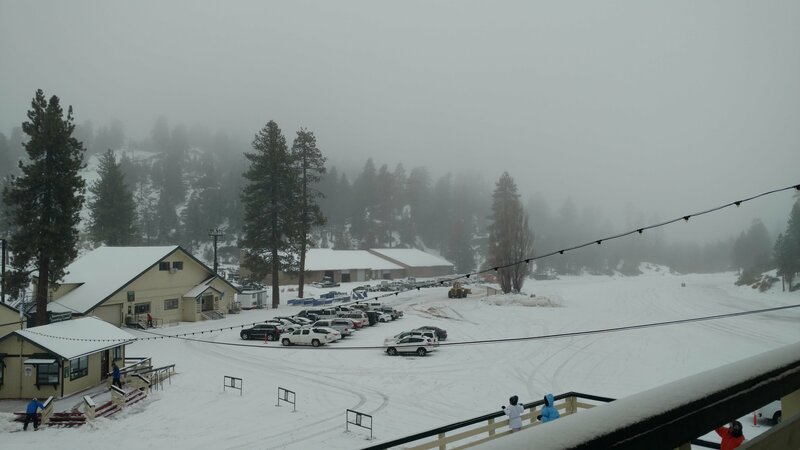 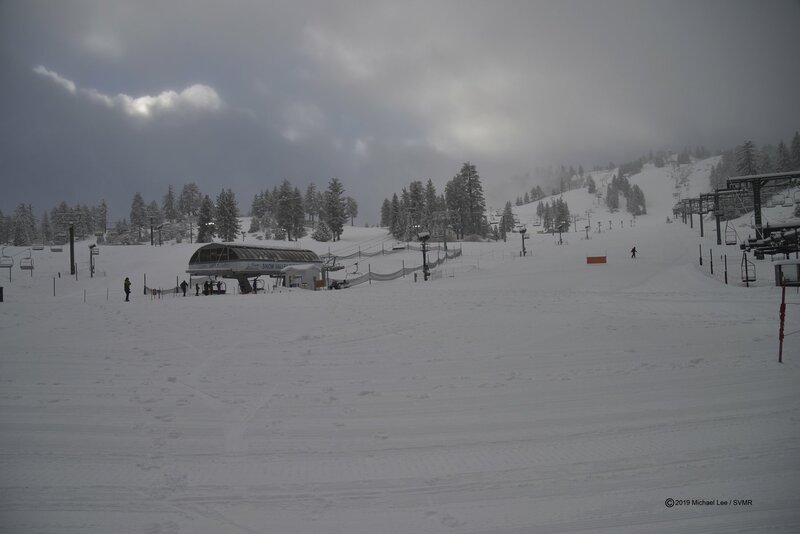 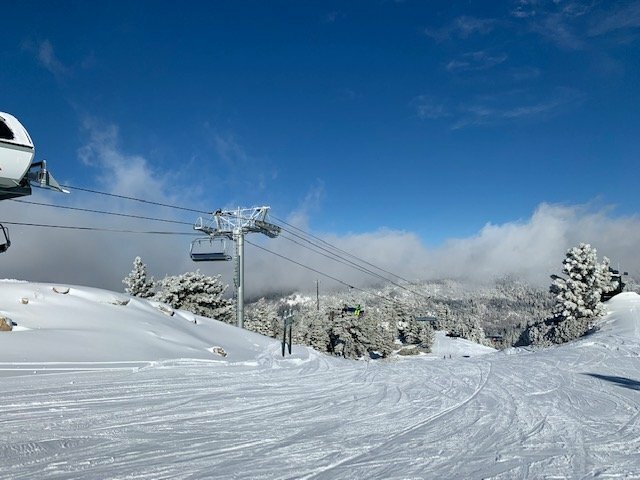 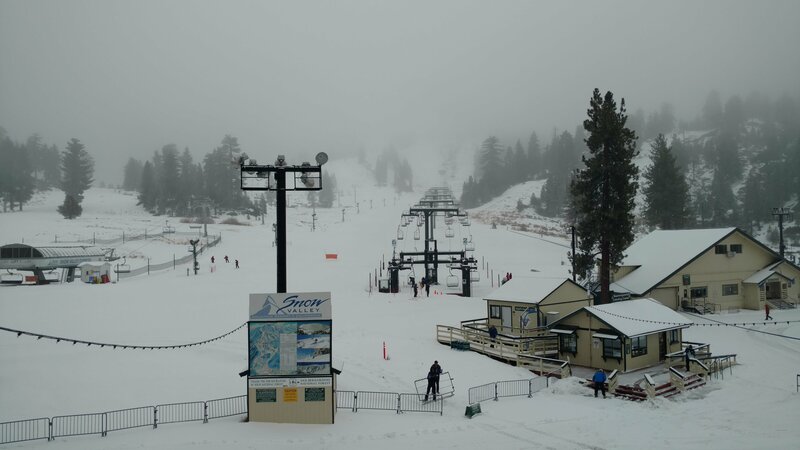 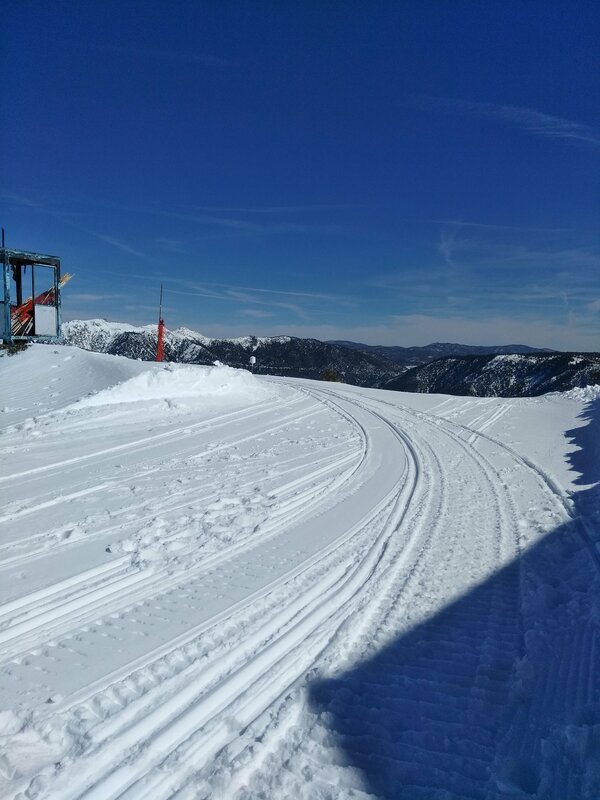 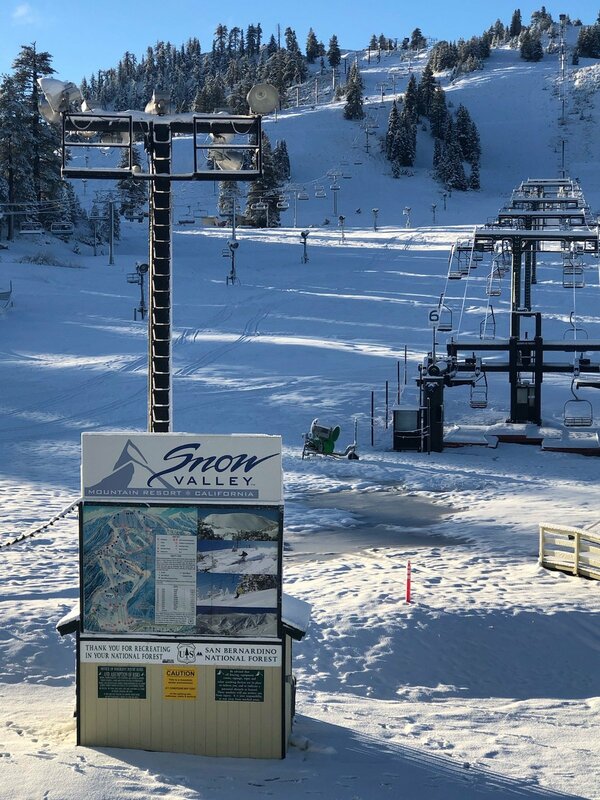 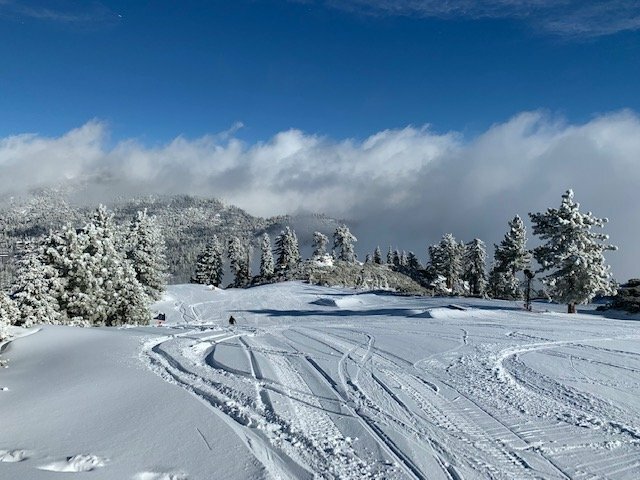 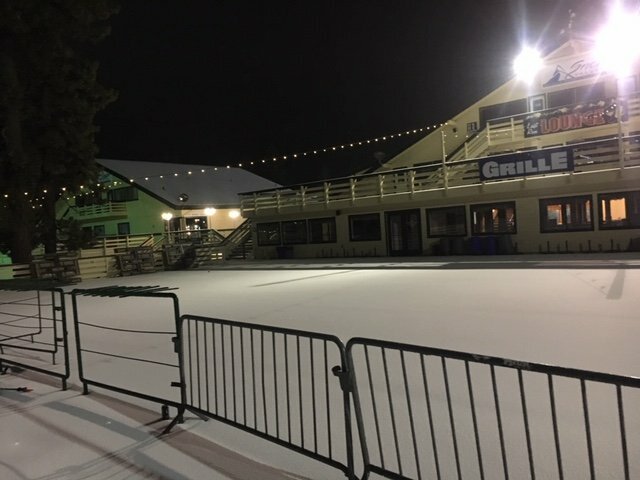 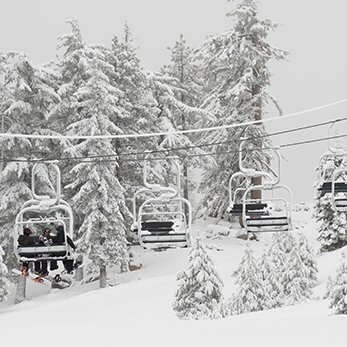 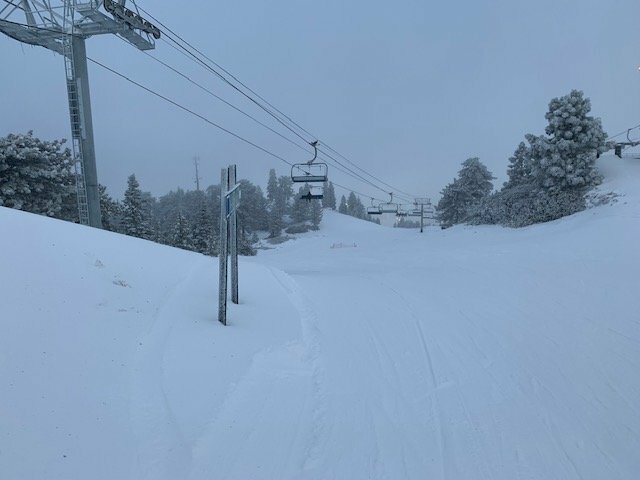 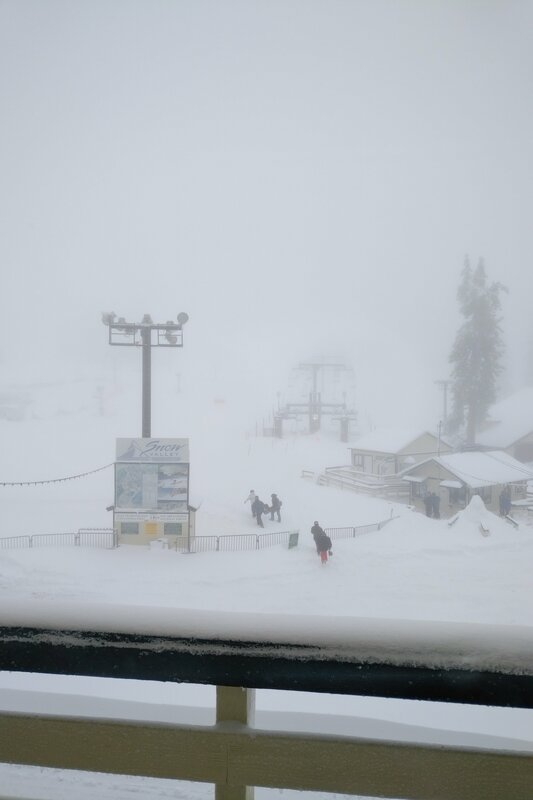 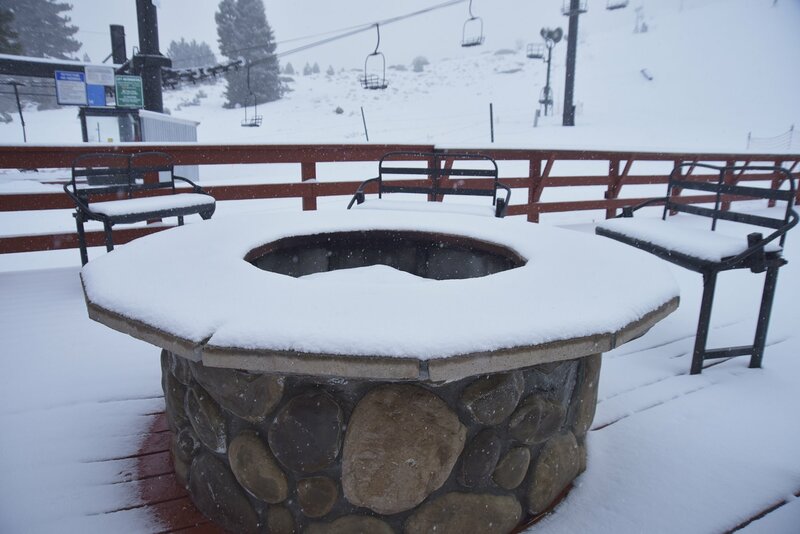 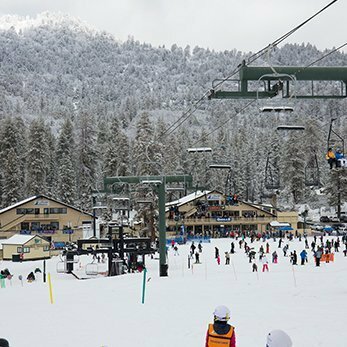 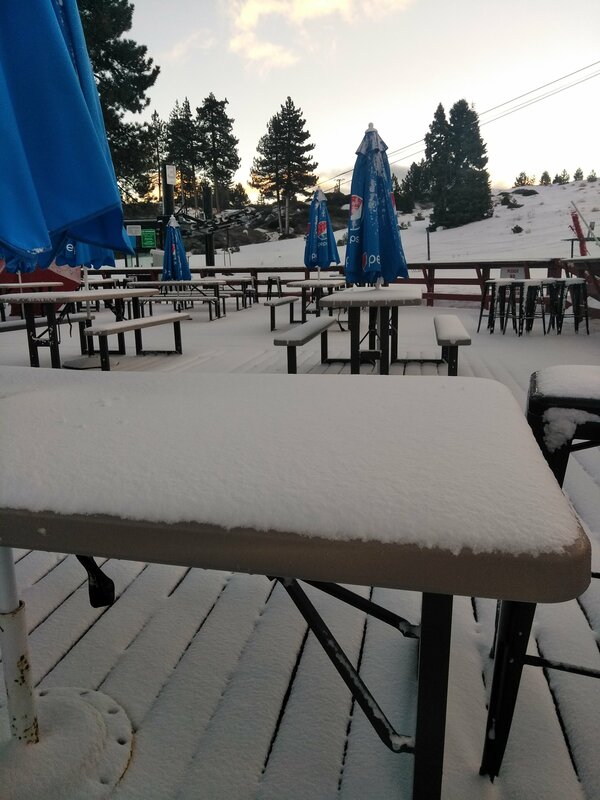 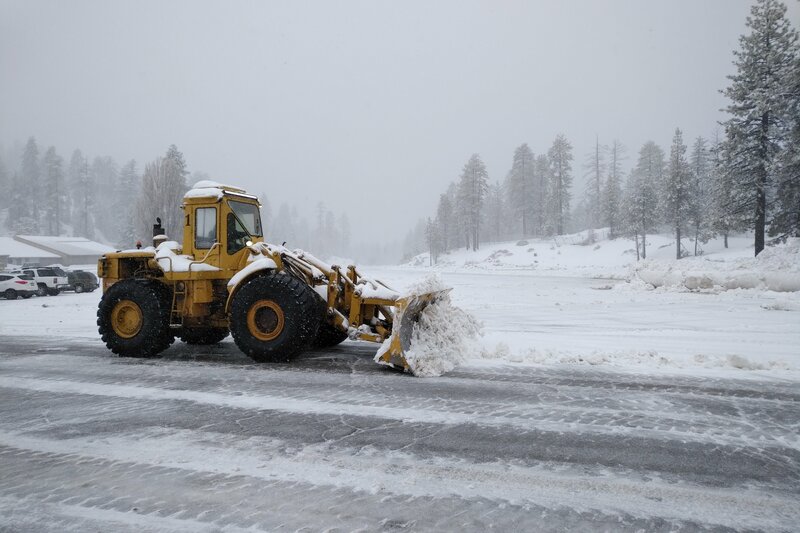 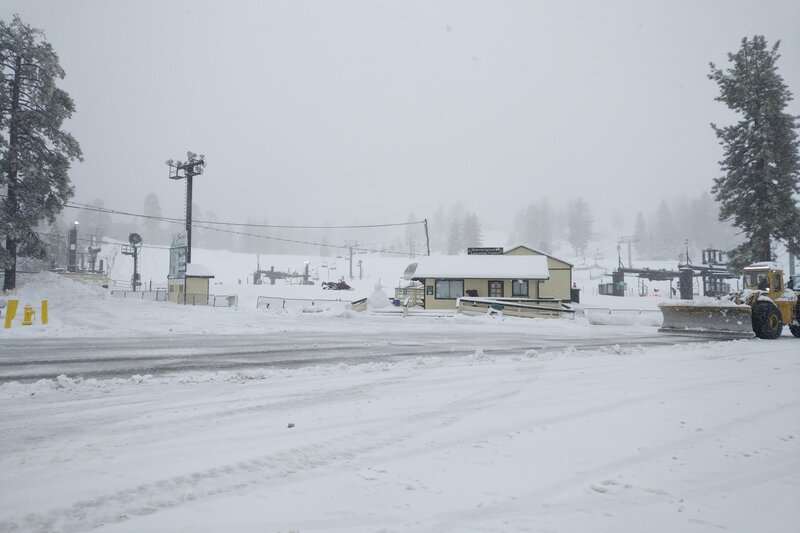 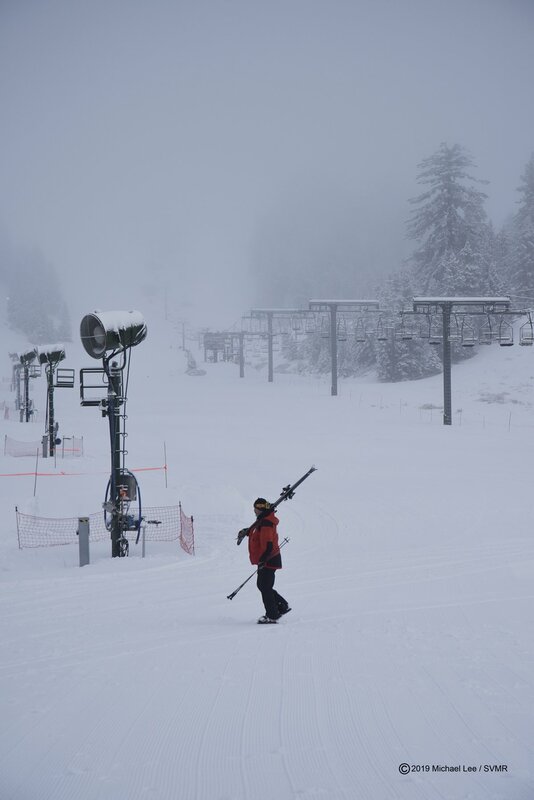 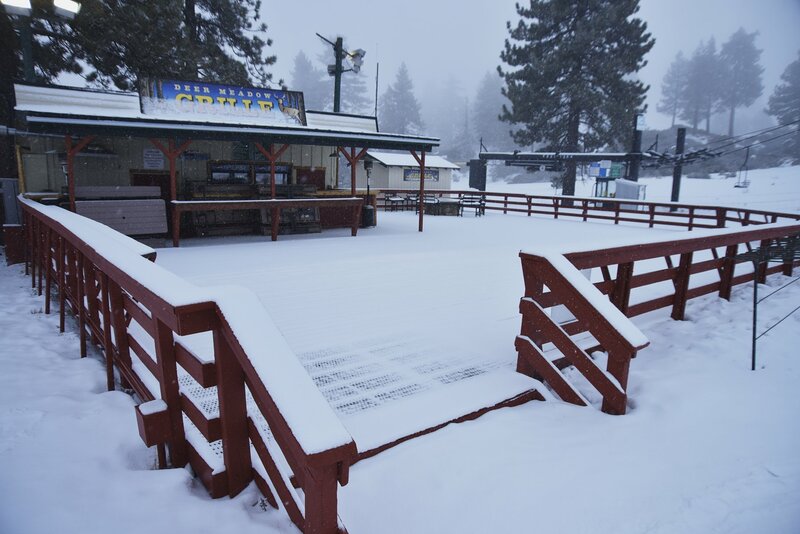 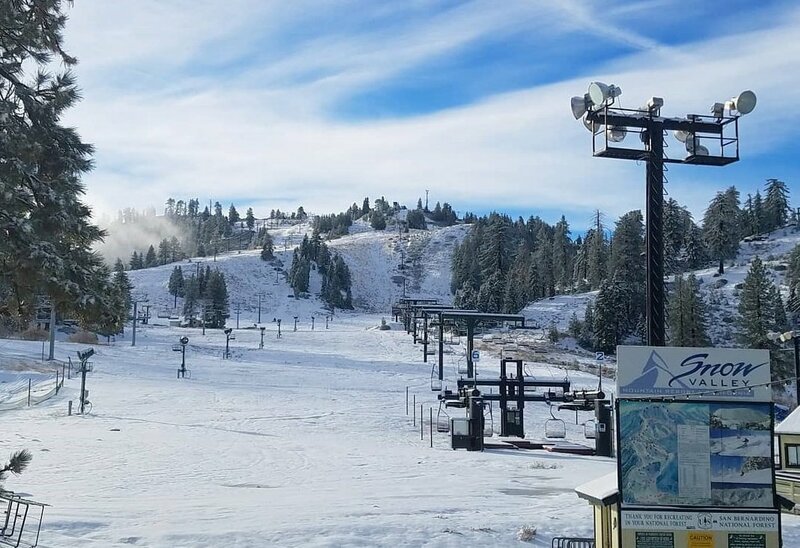 2-4-19: Plenty of new snow awaits you! 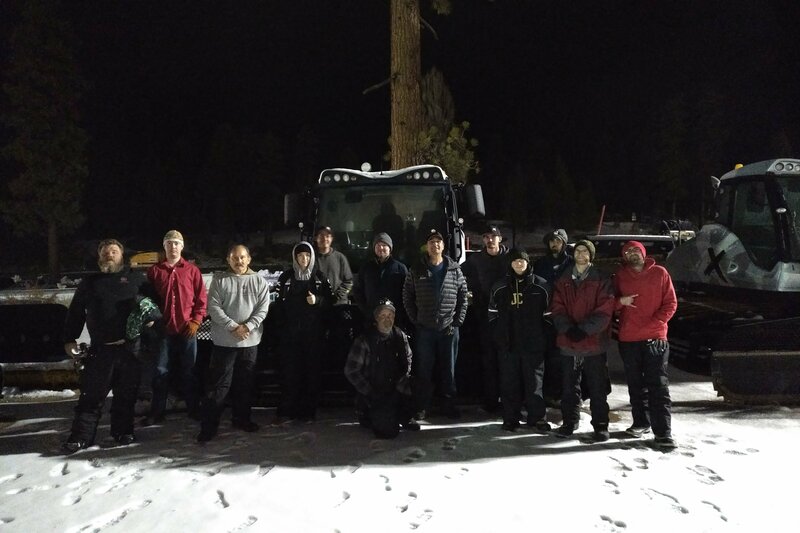 12-25-18: Our Friendly SV Team is Here for You! 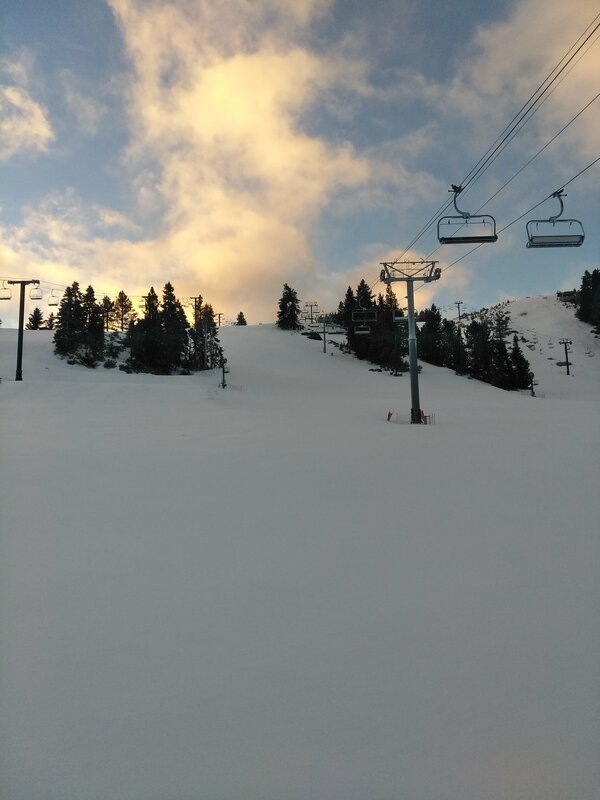 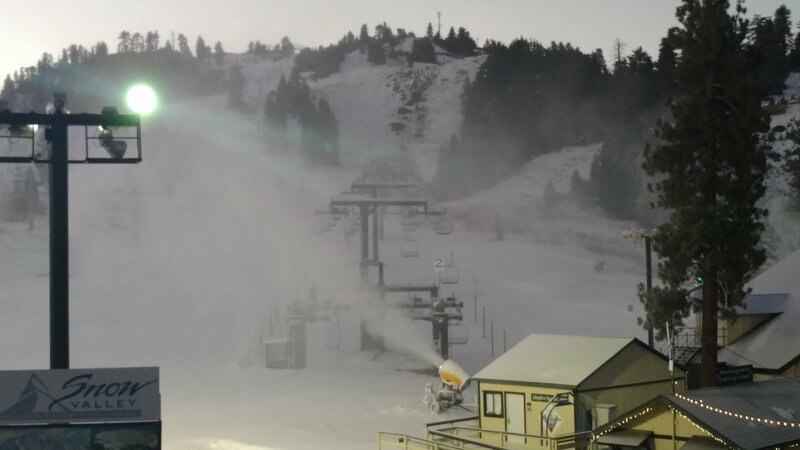 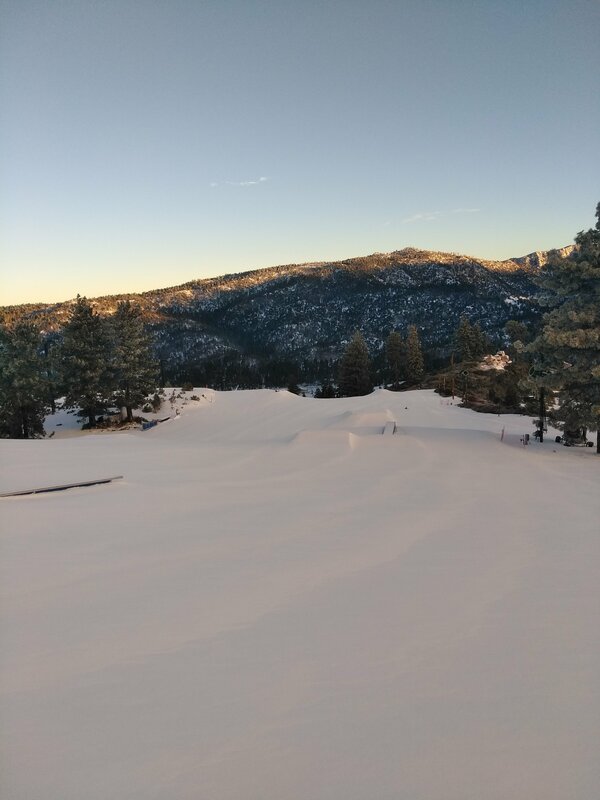 12-14-18: We're Open for the 18-19 Season! 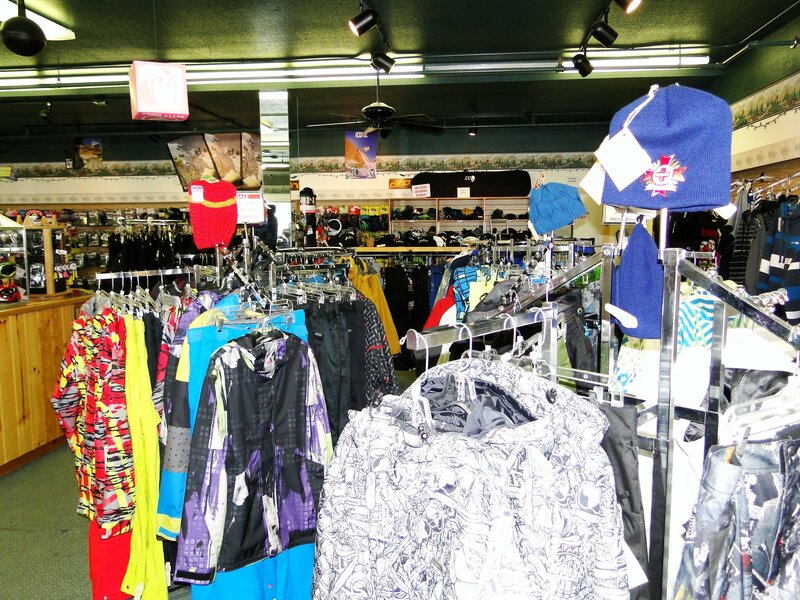 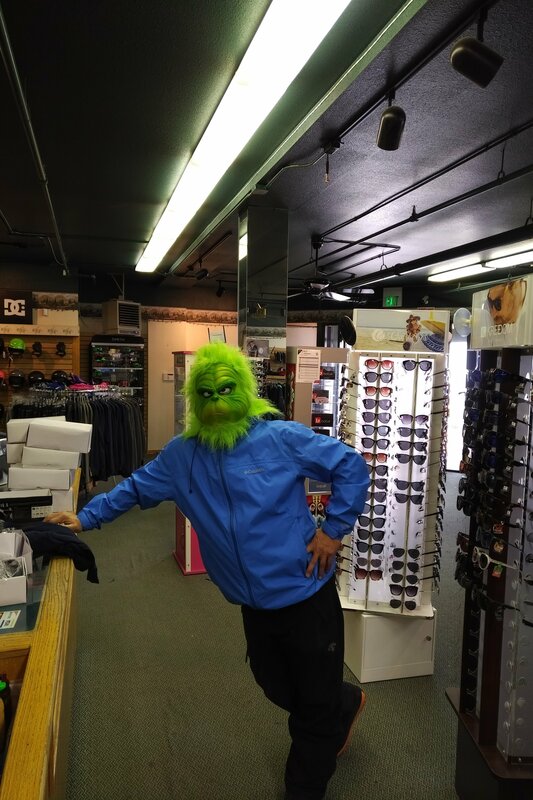 12-14-18: The Grinch Was Shopping in the Sport Shop This Morning. 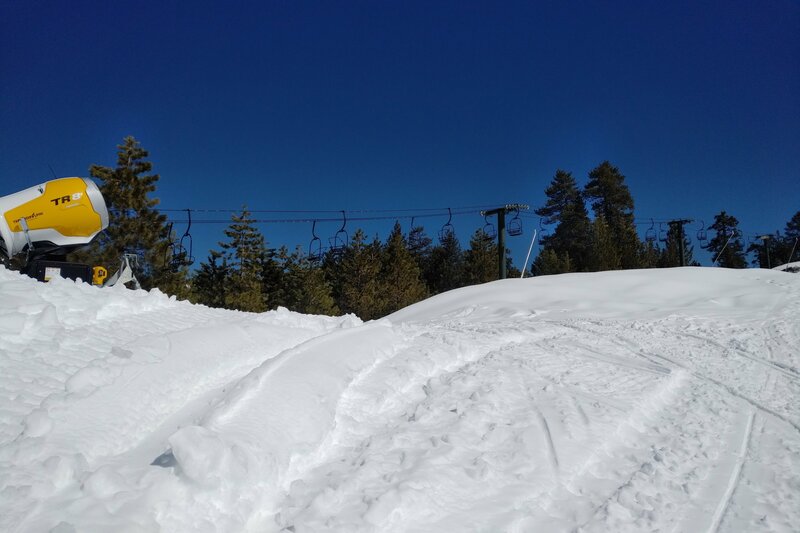 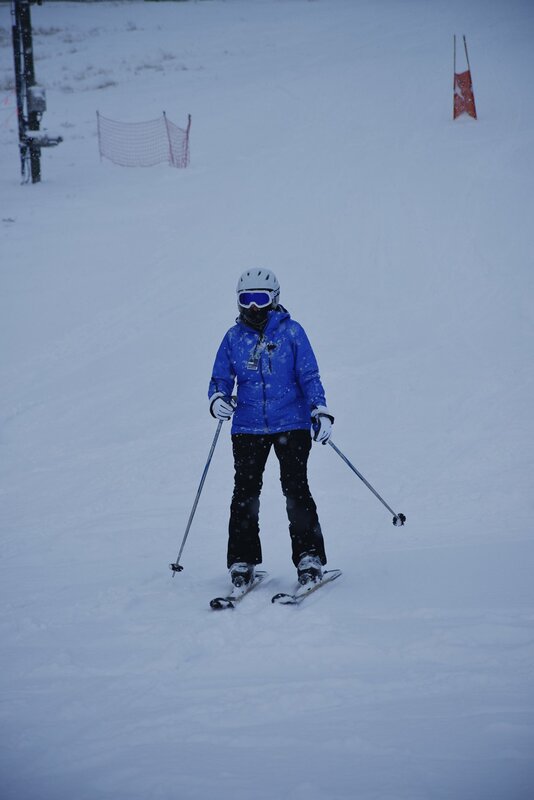 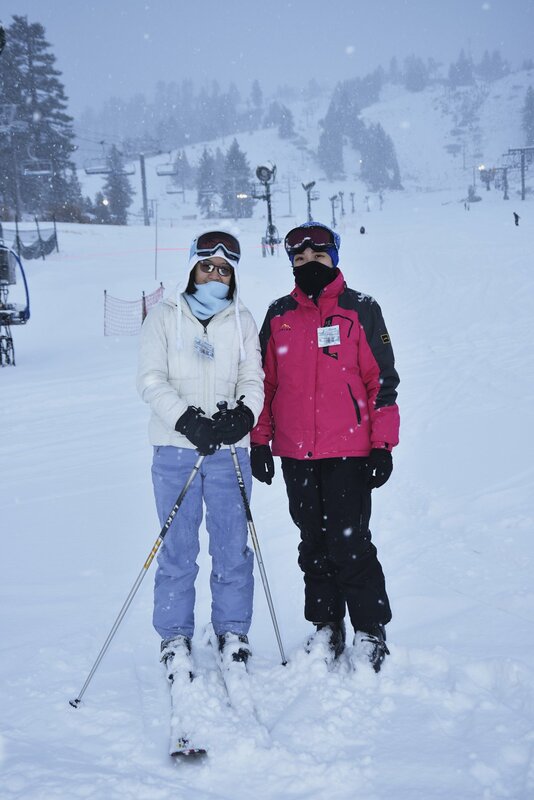 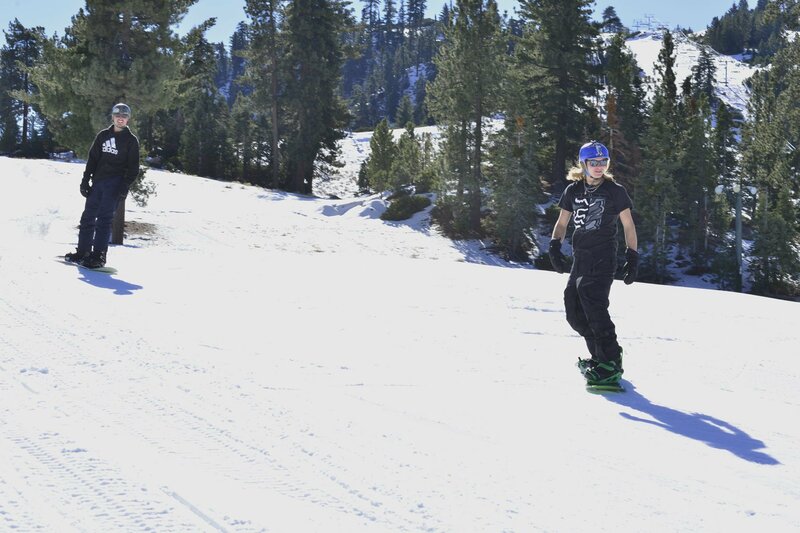 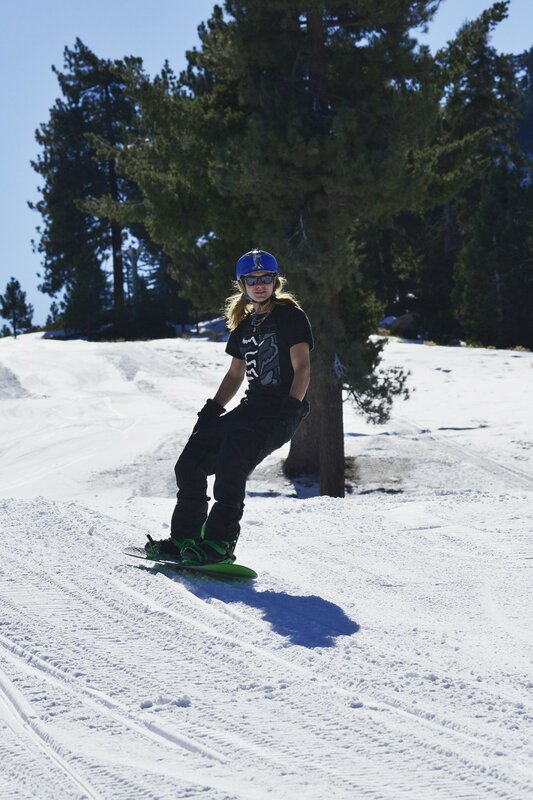 Fresh turns on the mountain! 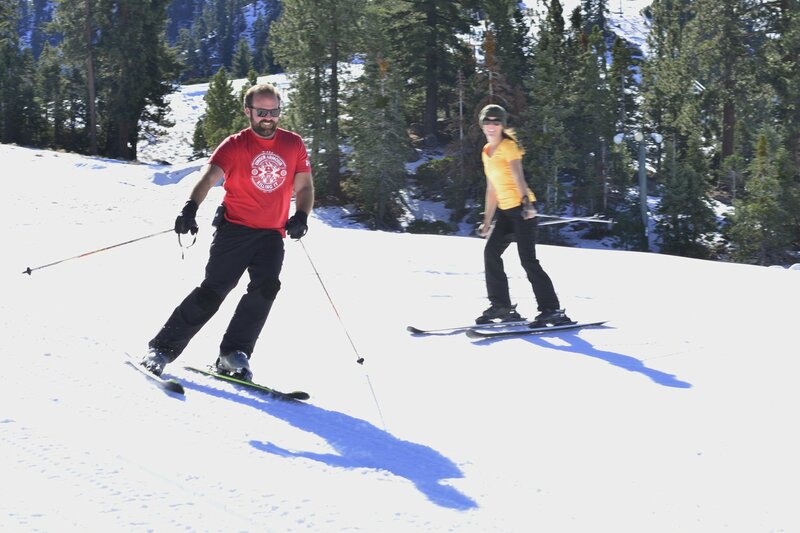 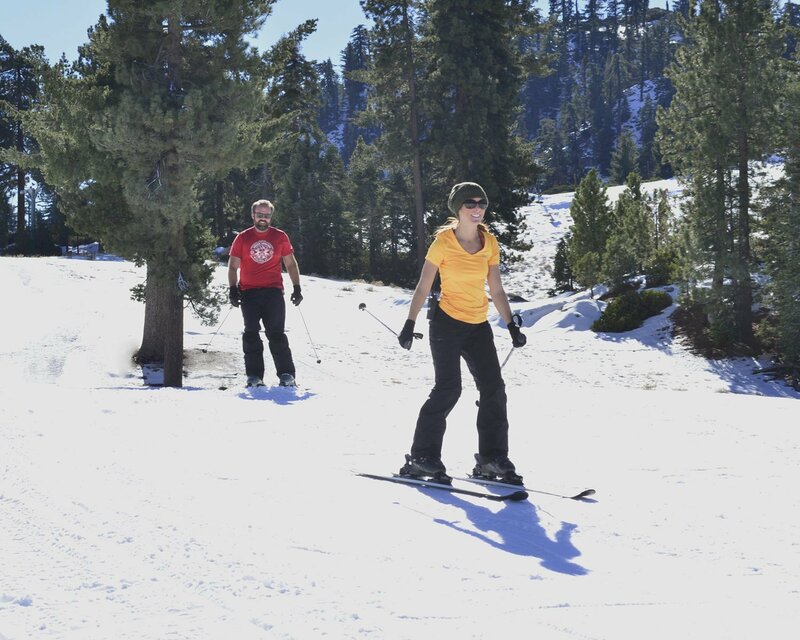 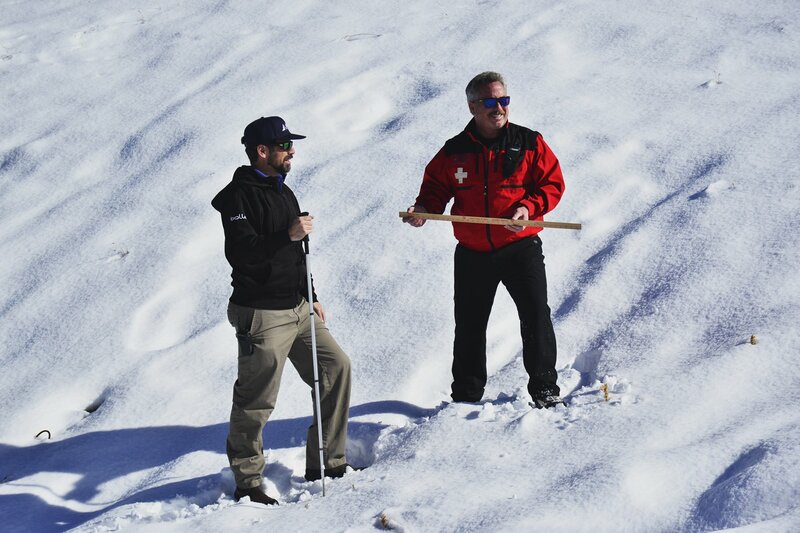 Our GM and Mountain Patrol checking out snow depths.